Being college ready starts somewhere--the PSAT! Before Julia Allen, freshman at Pacific Union College, she began her preparation for college at Takoma Academy. Besides taking rigorous classes to strengthen her transcript, she also studied for her standardized tests. Grades 9-11 take the Preliminary SAT, also known as the PSAT, to acclimate them to the types of questions asked on the PSAT. The PSAT Gives You a Preview of the SAT. While the PSAT is not an exact replica of the SAT, it serves as an excellent introduction to the test since questions are similar. Like the SAT, it includes three sections: Critical Reading, Math, and Writing Skills, but the tests are shorter. Your test results will give you an idea of how you will perform on the SAT and feedback about the areas you need to improve. Your scores will not be reported to any colleges. As a junior, if you are one of the PSAT’s 50,000 highest-scoring test takers, you will be considered for a $2,500 National Merit Scholarship. To have a chance of winning the scholarship, semifinalists must keep up their grades in high school, do well on the SAT, write a biographical letter, and submit letters of recommendation. When and Where to Take the PSAT Most students take the PSAT in October of their junior year in order to be considered for a National Merit Scholarship. 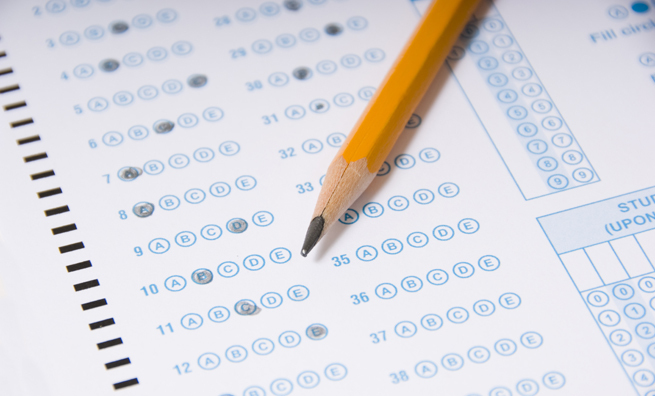 Your high school will administer the test and select specific test dates and test locations. Want Colleges to Find You? When you register for the PSAT, you can authorize the release of information about you to colleges. Your scores won’t be sent, just some of the information you provided. This helps colleges decide whether to contact you. You will receive piles of mail from colleges, but you might discover some college gems! You register for the PSAT at your high school, usually in the preceding spring. There is a small fee to take the test. Fee waivers are available to low-income students. For details, talk to your counselor or contact the College Board. Your high school will give you a booklet that includes sample questions from each section of the test. Additional information and sample questions are available from the College Board website. If you want to invest additional time and money preparing, several commercial PSAT test preparation books and courses are available. Your PSAT scores are usually available after Thanksgiving. The score report includes three scores, ranging from 20 to 80, for each section of the test. To get a rough idea of how you might do on the SAT, add a zero to the end of each of your PSAT scores. For instance, a 52 on the Critical Reading section would translate roughly to a 520 on the same section of the SAT.